The return of the 2015 VLeague – a quick recap. 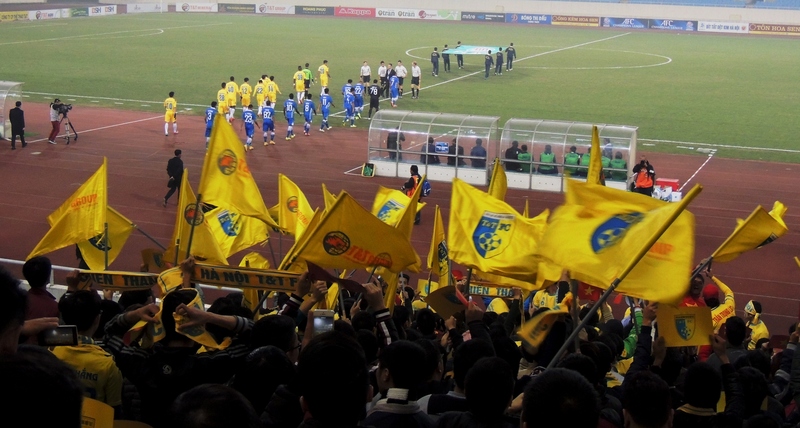 Quang Ninh have pushed on from last season’s sixth place finish and entered the break at the top of the pile. Long An, many people’s tip to struggle this season have shown some very encouraging results, notable a 2-1 v HAGL and then overcoming Binh Duong. The 2006 league champions are impressively the only undefeated team in the league. Probably the biggest surprise is a team heading in the wrong direction; HaNoi T&T. 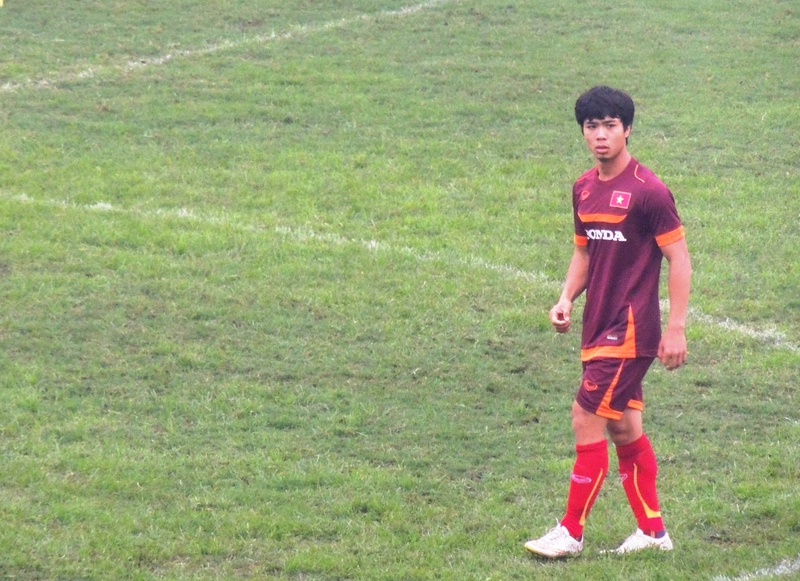 After releasing a number of experienced squad players (Tien Dung, Bao Khanh and the influential Sy Cuong), the 2013 champions opted to promote youth rather than bring in experience. Last season’s runners-up and 3 times league champions are struggling for consistency. The team from the capital currently lie in eighth, some nine points off of top spot. Last week’s rearranged tie between last season’s top two ended with the reigning champions, Binh Duong, narrowly defeating Hanoi T&T at the Gò Đậu stadium. T&T’s problems continued with both Gonzalo & Samson serving 3 match suspensions while Hector left the field after half an hour with an ankle injury,that’s likely to rule him out for two weeks. 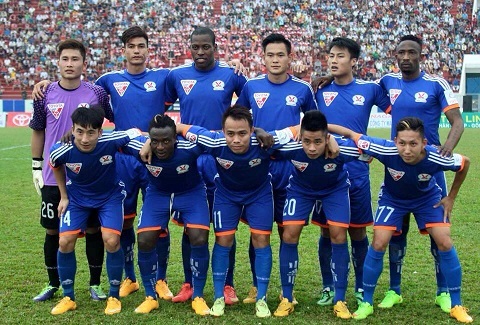 The victory means Becamex Binh Duong replace Quang Ninh at the top of the league. At the other end, Đồng Nai prop up the table with just one win in eight. Newly promoted Cần Thơ sit just a point above, while SHB Đà Nẵng are in for another long season having picked up just 6 points so far. Ha Noi T&T’s quest to make the 2015 AFC Champions League came to a grinding halt in the final qualifying round at the hands of FC Seoul. Having comfortably dispatched Persib Bundung 4-0 at the My Dinh national stadium, Hanoi T&T travelled to Korea to face one of the regions powerhouses, FC Seoul. In the huge world cup stadium the gulf between the two leagues was hugely exposed as the home side progressed with an emphatic 7-0 victory. Binh Duong’s opening gamed turned out to be a thriller as they pushed Shandong Luneng all the way at the Gò Đậu stadium but eventually fell to a narrow 3-2 defeat. The ‘Chelsea of Vietnam’ are still searching for their first points of the campaign after suffering two further defeats against Kashiwa Reysol (5-1) and Jeonbuk Motors (3-0). The new look HAGL, featuring many graduates of the famed Arsenal Academy and a large portion of the revered Vietnam U19 team; attracted the largest amount of interest as the season began. Guillerm Grechen’s team has drawn large crowds wherever they go, and selling out home matches days in advance. The results have not been great though, and skeptics are wondering if the ‘project’ was a good idea. The youngsters currently lie in tenth, having won only two games. Technically the players have performed well and the team is clearly organized in a way that stands them apart from their league counterparts; noted by many opposition players who have been singing the praise of the maturity of the young team. The first round of the National Cup saw wins for Đồng Nai , Quảng Ninh, Bình Phước, Đà Nẵng , Đồng Nai and Công An Nhân Dân. The picks of the second round (20/6) has to be Hanoi T&T at Quang Ninh, while Thanh Hoa host DaNang. The Vleague 2 also gets underway this week as 8 teams battle out for promotion to join the country’s elite. The 8 teams are: Hồ Chí Minh City, Hue, Bình Phước, Phu Yen, Nam Dinh, Công An Nhân Dân, Dak Lak & Ha Noi FC.